Denver, CO – January 12, 2016 – Businesses have more transit advertising opportunities to reach consumers in the Mile High City this year, thanks to the recent launch of The Regional Transportation District - Denver’s (RTD) Flatiron Flyer and to Lamar Advertising Company (Lamar). Lamar (Nasdaq: LAMR), the exclusive advertising partner to RTD and Colorado’s leading out-of-home media provider, is pleased to announce that it is offering advertising formats on RTD’s newest fleet of 59 buses. Advertising on the new Flatiron Flyer began January 3, 2016 when the service opened to the public. 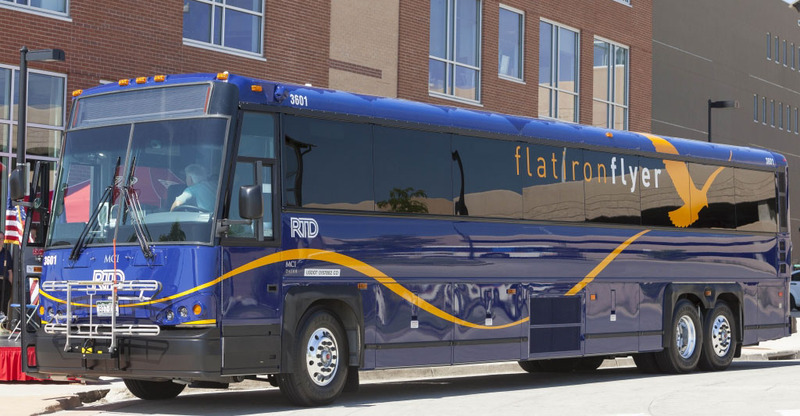 The Flatiron Flyer is RTD's Bus Rapid Transit (BRT) that will transform travels between Denver and Boulder on Highway 36 – Boulder Turnpike and all points in-between. Bus Rapid Transit (BRT) is a type of bus service used across the nation to provide convenient, frequent, schedule-free travel options. Lamar offers exterior transit advertising options on RTD’s new Flatiron Flyer fleet. Products offered include Kongs, Headlines and Full Backs, enhancing Lamar’s out-of-home advertising offerings in Denver. Lamar operates transit advertising formats on buses, mall shuttles, metro-rides and light rail vehicles across the greater Denver market, providing the largest out-of-home advertising platform in the state of Colorado. For more information, please visit www.lamar.com/denver. 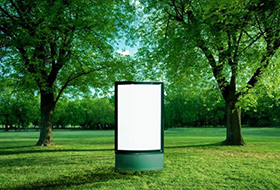 Founded in 1902, Lamar Advertising Company (Nasdaq: LAMR) is one of the largest outdoor advertising companies in North America, with more than 315,000 displays across the United States, Canada and Puerto Rico. Lamar offers advertisers a variety of billboard, interstate logo and transit advertising formats, helping both local businesses and national brands reach broad audiences every day. In addition to its more traditional out-of-home inventory, Lamar is proud to offer its customers the largest network of digital billboards in the United States with over 2,200 displays. Please feel free to explore our website www.lamar.com or contact us for additional information. The Regional Transportation District provides transit service across the eight-county Denver metro area. At RTD, our goal is to provide a safe, sustainable transit option for all members of the communities we serve. We constantly strive to enhance our services, expand our network, and conserve resources, all while maintaining our current system. By connecting communities and providing easy and convenient transit options, we hope to increase the quality of life for our riders. RTD offers a comprehensive and robust system of bus and light rail service. For route and schedule information, please call RTD’s Customer Care at 303.299.6000 or 303.299.6089 for the speech and hearing impaired or visit RTD’s website at rtd-denver.com.